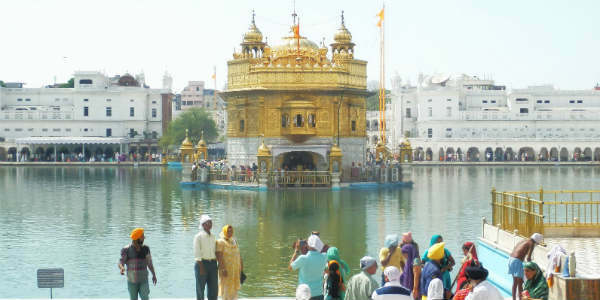 The states of Punjab and Haryana have been witnessing hot weather conditions for the last many days. Pre-monsoon activities have not been seen in both the states for a long time now. The maximum temperatures recorded over parts of both the states are as follows: Ambala 36.8°C, Bhiwani 37.0°C, Chandigarh 36.3°C, Faridabad 36.8°C, Gurgaon 36.6°C, Hisar 38.5°C, Karnal 37.0°C, Narnaul 38 .5°C, Rohtak 38.2°C, Sirsa 37.5°C, Amritsar 36.5°C, Anandpur 35.0°C, Bhatinda 37.4°C, Ferozepur 37.0°C, Jalandhar 37.2°C, Kapurthala 37.5°C, Ludhiana 37.1°C, Pathankot 36.3°C and Patiala 37.8°C. Currently, a Western Disturbance is over Afghanistan and adjoining Pakistan. It is expected to move further east and is likely to affect Western Himalayan region on April 26 as an upper air system. A cyclonic circulation is also expected to form over North Punjab and adjoining areas. A trough from this system is also running up to West Uttar Pradesh across North Haryana. The wind profile would also change over the region. Due to the change in winds, a rise in temperatures is expected over most parts of Punjab and Haryana. A rise in temperatures is expected over most parts Bathinda, Firozpur and it may reach 40 degrees. However, some relief in the form of a light isolated dust storm or thunderstorm is expected around April 27 and April 28 in parts of Punjab such as in Amritsar, Hoshiarpur, and Pathankot on April 26 and 27. Few regions of Haryana like Ambala and Karnal may also get affected by these pre-Monsoon activities on April 27.